"Hello Beautiful!!! Thank you for your love and support. Because of your faithful prayers, donations and support, God has opened doors for me to reach people here in the United States and around the world. To God Be The Glory!!! I also pray everyday for you and your family to have continued peace of mind, happiness, joy, love, prosperity and good health. Continue to pray for me and my family and I will continue to pray for you and yours! I hope that you are enjoying Taboo Talk and the God inspired messages I offer over my website, app, and social media as part of Unlimited Help On-Line Ministry. 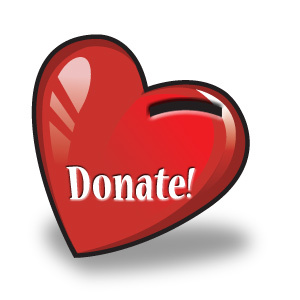 Please show your support of the ministry by making a donation below. Your support is greatly appreciated and needed!!! Thank you!!! As a thank you for your donation you will receive Lady Charmaine Day's ebook Cyber Hustle.